Being that this is our 3rd move since I started this blog 5 1/2 years ago, I will attempt to write a diary of sorts of our 4 day not-quite-although-it-feels-like-it cross-country drive between the Florida Panhandle and Colorado Springs. Day 1 for us was supposed to be a “short” drive. 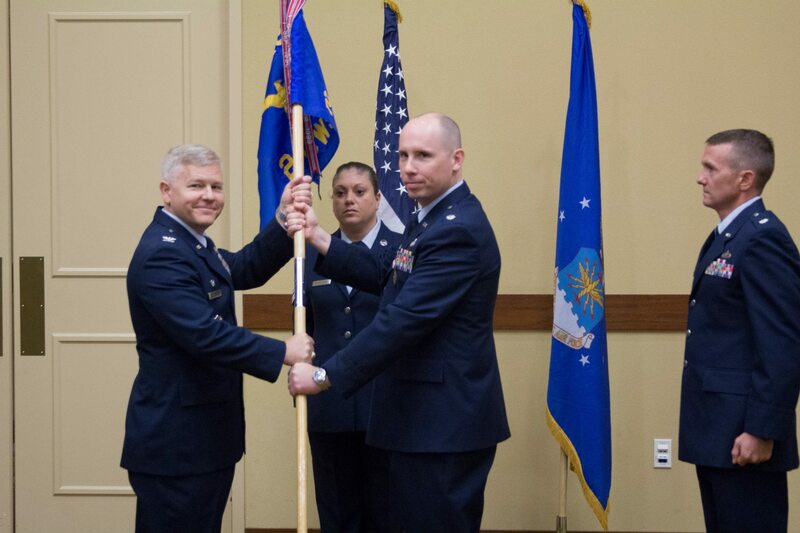 In a good-old-fashioned military change of command, the outgoing commander says a farewell/thank you speech, ceremoniously gives up his guidon to the new commander, and then beats feet out of the area. Dave had been saying for the past several weeks, “You’ll have to pry the guidon out of my cold, dead hands!”. He was joking…but you wouldn’t know if from this picture, would you? Photo: Michael Bruenning. 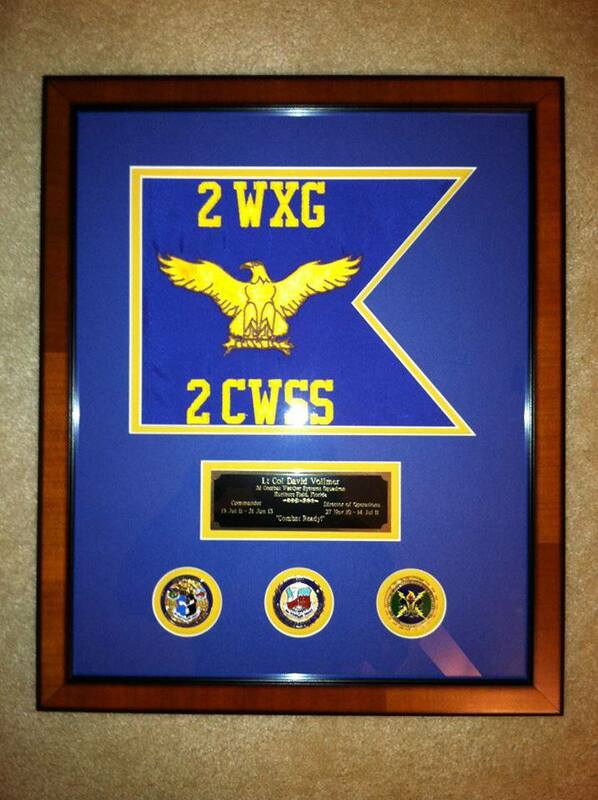 The squadron was sympathetic and presented him with a mini-guidon pennant of his very own. It’s a gorgeous presentation piece, with coins and lovely farewell messages on the back. It was VERY hard to leave so abruptly after the ceremony but that’s what we had to do. At about 1:30pm on Friday, we were able to drive away from our cleaned-up Navarre house and head westward! The drive to Louisiana was pretty uneventful. However, our plan was to have dinner after getting to our hotel in Opelousas. I was looking forward to Cajun food: Opelousas claims to be home of the best boudin! Unfortunately we arrived so late in the evening, we were too tired to go far for dinner. I had made reservations at a Holiday Inn & Suites right off I-49 in Opelousas for the night, but when I got there, it turned out they don’t take pets. Even though I had filtered my Holiday Inn hotel search to only those that take pets. Whatever. 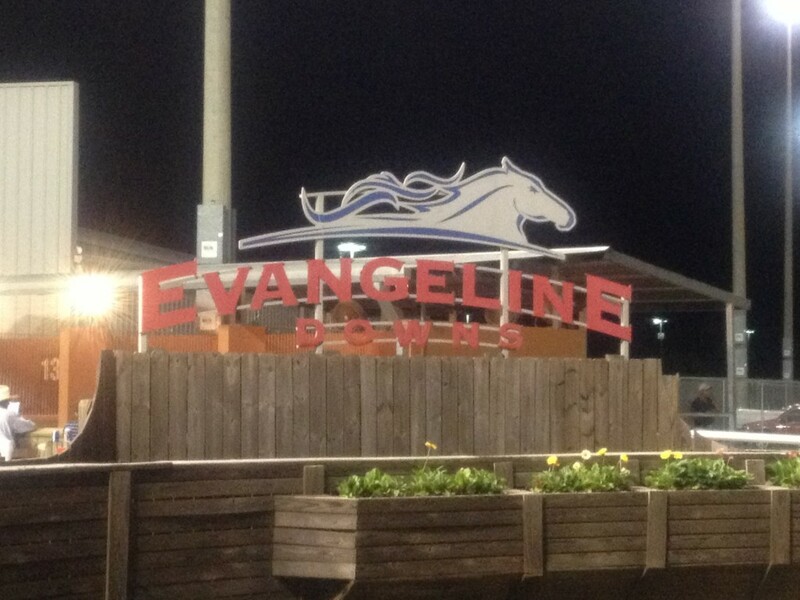 The nice girl at the front desk referred us to the Evangeline Downs hotel right up the street. She said that they took pets. We were apprehensive at first: should we be staying at a casino/horse racing track during official PCS travel? When we got to the hotel, we were very pleased. We were able to get a pet-friendly room at better than the government rate (thanks to our Choice Privileges membership). We checked in close to 9:00pm so Dave and I had a Cajun dinner at one of the casino’s restaurants. 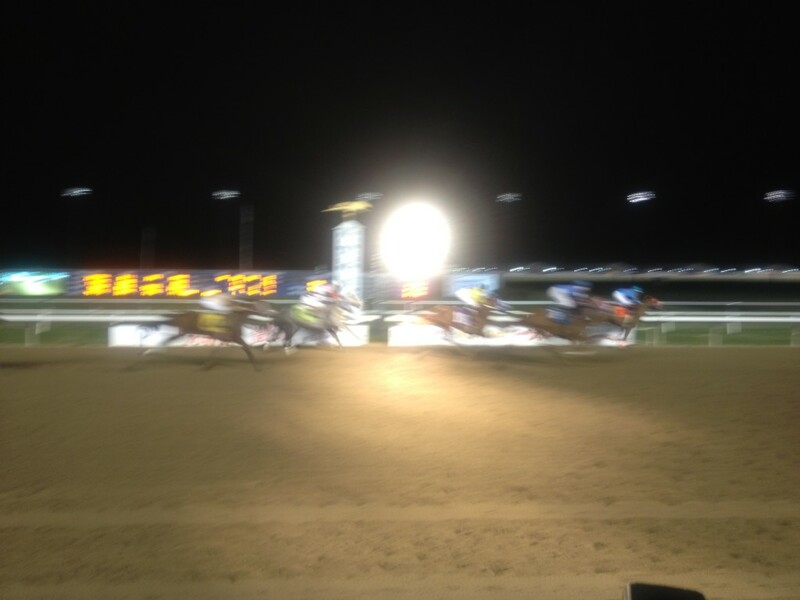 Then we learned that there was live horse racing going on, so we decided to check it out. 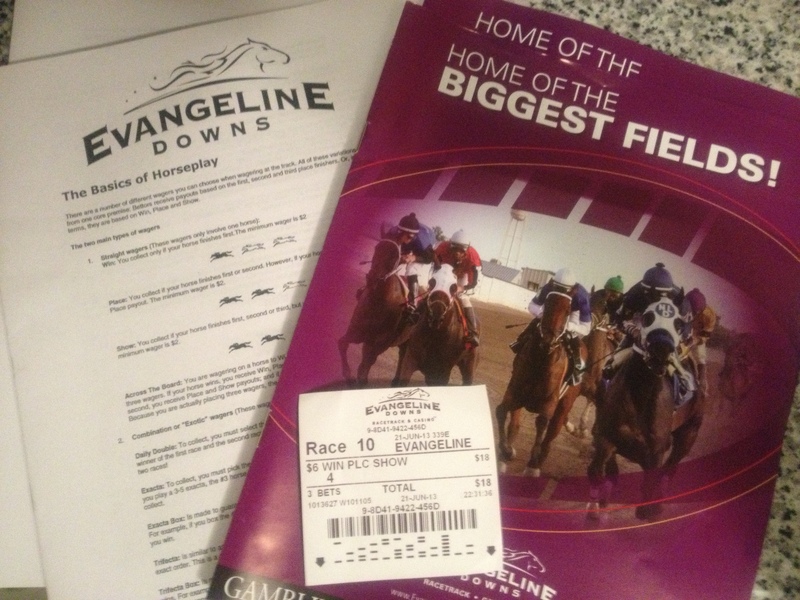 I’d never been to a horse race, so I got my Eliza Doolittle on and checked it out! There was a counter spot marked “Ask Me How to Bet” so Dave and I talked to the girl there a little bit. We decided to bet on one of the horses for one race. Armed with data — watch out world! I’m crackin’ the code on horse betting! Alas, Lydia Cou didn’t win, she’s on the far left in this picture. After the races, Dave and I headed to bed, where Dave would have the soundest sleep he’d had in 2 years…the burden of command and taking care of 60+ Airmen lifted.